Vosteran, a potentially unwanted web service enhancement, gets dissected in this entry in terms of technical nuances and dependable removal methods. “Vosteran” is a Catalan word for the pronoun “your” in English. That’s semantics. In computer terms, it denotes an unwanted browser helper object which appeared on the underhand cyber stage a few weeks ago, so it’s relatively new. Also referred to as WSE_Vosteran or Vosteran New Tab, this app makes you forget about everything custom when it comes to web surfing. 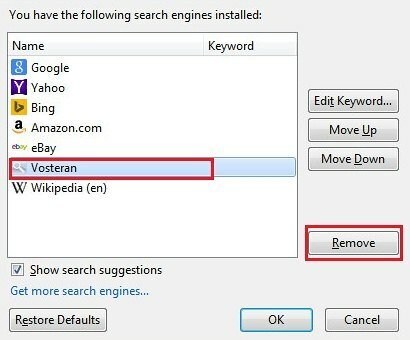 Having installed on to a PC, it deploys some browser preferences swapping in order to make the user end up on vosteran.com in a recurrent fashion. 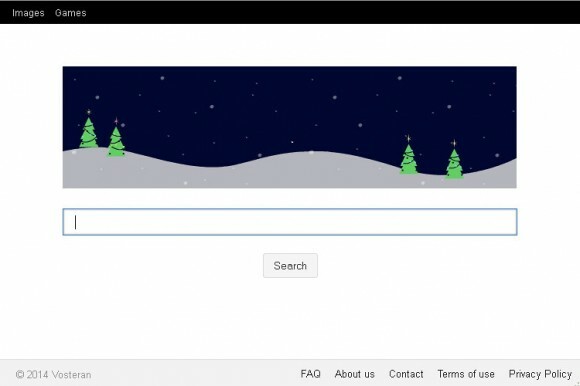 These isn’t really a redirect story because the URL for homepage, new tab page and default search gets to be sort of hard-coded in the respective configuration fields for Firefox, Chrome and Internet Explorer. 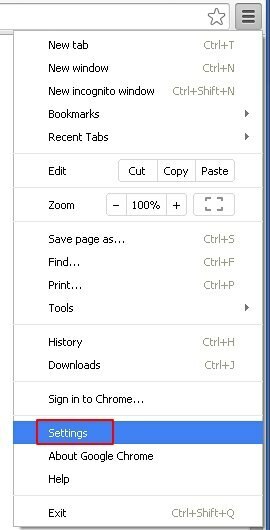 So, whenever the victim opens one of the above browsers, triggers a new tab or intends to search for random information online, the wrong page appears instead of the right one. Essentially, this is a rather typical implementation of a traffic redistribution scheme, where the compromised users’ web browsers get exploited for someone else’s commercial aims while causing them a lot of frustration. There’s a negligible change that a potential victim would take notice of the malicious installer sneak in. This unfortunate fact is easily explainable: the payload bundles with popular free software whose terms of service hardly anyone ever reads before the install. 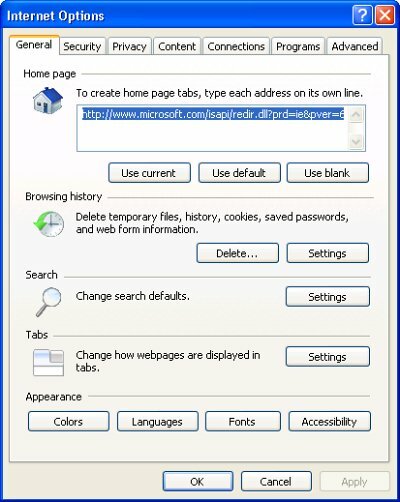 Free video downloader programs, media players and modified variants of Flash Player are often used to deliver the adware along them. That’s the case with Vosteran Search too. 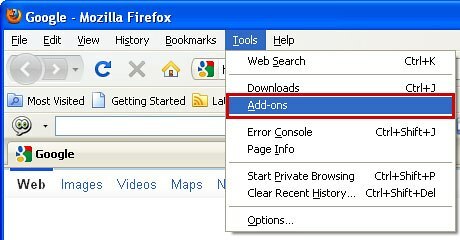 After the user’s main browsing preferences have been altered by the infection, it’s not easy to restore the previous state of these settings. 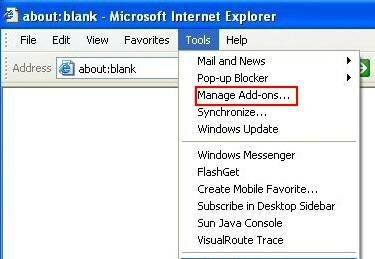 The manual way turns out to be effectless because the undesired value comes back the next time the browser is opened. 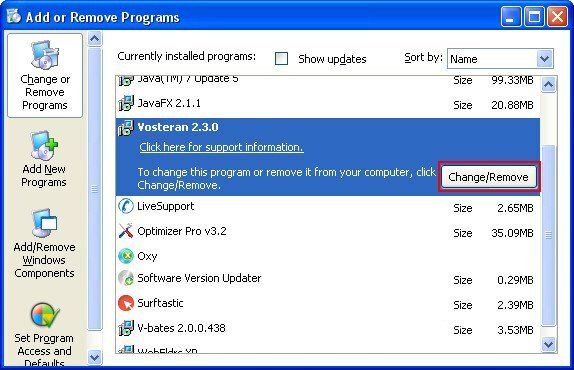 Just like with any other arbitrary adware, Vosteran can only be removed through a special process that presupposes a complex of measures to be performed in a certain order. It’s that sort of workaround that is provided in this article’s removal section. Do not fail to follow the steps exactly as they are listed, and the problem will evanesce. 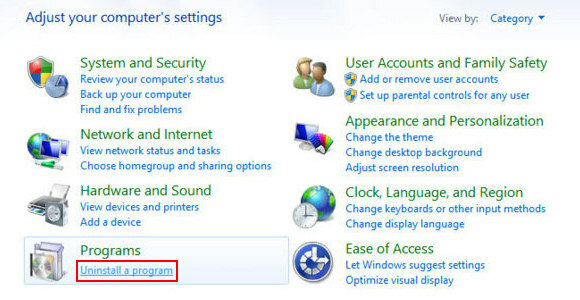 When the software returns a list of malicious and potentially unsafe items found on the PC, select Fix Threats in order to have the Vosteran app uninstalled from your machine. An additional virtue of this process is the elimination of other threats that may be active in the background. Given the likely persistence of this adware sample, it’s recommended to repeatedly check for its components after the cleanup procedure has been performed. Rescan your system with trusted security suite to make sure Vosteran Search extermination has been successful. Thank you so much! I have been fighting with vosteran for two weeks and this little tutorial helped me clean it up….at least for now. I will see if it continues to rear its ugly little head. Thanks very much. 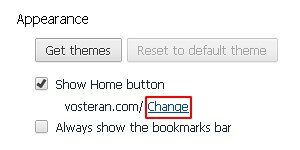 Chrome did give me the option of ‘Reset all settings’ on a banner message when I selected ‘Settings’ on Chrome saying it had detected changes. I followed your guidance first and Vosteran was gone. I selected the Chrome option to ‘reset all settings’ as belt and braces. Clear unambiguous advice – thanks again. Thankyou very much. This blasted nuisance was installed when I used a file from oldversions.com. The people who spread this disease around the internet should be strung up by their thumbs.